If you found this page, you must be a runner.. and a self-sufficient one at that. You have probably gone after some tough challenges, created your own training schedule, and achieved your goals. And now that you are injured you probably decided you will do the same with your injury. Every day millions of people search YouTube, for everything from how to stretch to how to heal. But you may have discovered that there is often something missing in online articles, videos created by dubious “experts” and other sources. There are holes that leave confusion. Runners want the details. They need to understand what an injury means in terms of exercise limitations. Runners need to know whether or not they can stay active and NOT lose all of their hard-earned fitness…while they recover. Runners don’t have time to waste. And no source of information is faster than the internet. In this section of the Doc On The Run website, Dr. Segler has created a number of D.I.Y. resources. You can read, view and learn..right now. Even if it is 5:00am or 11:00pm. 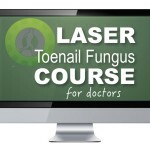 You can learn what is causing your foot pain. If you can determine how doctors make a decision between two (or three, or even four) possible injuries you will go a long way toward a rapid recovery. The faster you start down the correct treatment path, the faster you get back to running. Click here to see all of our PRODUCTS. Written by Dr. Christopher Segler, “Doc On The Run” to specifically address the unique concerns of runners. What exactly is causing pain when I run? Will it heal? Can I run? Should I skip my marathon? How do I prevent it from happening again? 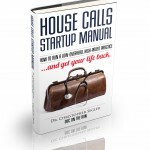 You get all the clarity you need in a book that you can access immediately. No more confusion. No more questions. Find out exactly how doctors tell the difference between different causes of pain in runner…and how you can treat it! Also find out how doctors tell if you can run with any given foot problem. Dr. Segler actually hired a computer animator and spent nearly two years working to create the videos to help runners understand their respective causes of pain. 3D animations were built from scratch, simply because none existed that could clearly illustrate the anatomy in a way that can help an injured runner understand. Doc On the Run Courses present all of the details of running injury diagnosis and treatment in a logical, concise format. Each module will walk you through step-by-step instructions to help you ferret out the cause of pain that is interfering with your run. Once you decide what is causing the problem, you can learn how runners treat it own their own, and how doctors might treat it if it didn’t improve with home treatments. But don’t be fooled… home treatment in many cases is the same stuff the doctor would tell you to do as a first-line therapy anyway. 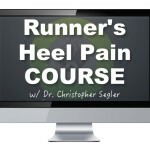 Dr. Segler has been doing remote consultations for elite runners and recreational athletes for years. Between remote consults, in-person second opinions, and lecturing to physicians about how one can tell the difference between different diagnoses, he has learned the way patients think and how they can tell the difference between various injuries that happen when running. Learn how doctors tell the difference between different causes of pain. Is it a neuroma or a stress fracture, or is it a plantar plate tear? So, what if I have been diagnosed by another doctor who doesn’t often treat runners? If you are one of Dr. Segler’s patients and would like to review the return to running instructions he gives to his runners, you can email him directly at the email address he gave you during your consultation. Or, if you haven’t seen Dr. Segler but confident in your diagnosis, you can download the specific instructions he most often provides to patients with given diagnosis. The most common cause of heel pain (by a mile) is plantar fasciitis. But that is not the only cause of heel pain. In my sports medicine practice, I see very few patients with plantar fasciitis. But I see lots of patients with partial ruptures of the plantar fascia, stress fractures of the heel bone, infracalcaneal bursitis, and neuritis. Many runners can run with plantar fasciitis and still heal. But many runners mistakenly think they have plantar fasciitis, keep running and get worse. This is because they don’t actually have plantar fasciitis…they have another condition that is masquerading as plantar fasciitis. The majority of the time that I provide a second opinion for a runner who has “plantar fasciitis” that isn’t getting better, I determine that they have something other than plantar fasciitis causing their heel pain. If a runner can get the correct diagnosis from a doctor, or make the correct diagnosis themselves, they can modify their activities, running style, or possibly simply their running shoes and continue to run. For less than the cost of a co-pay you can get all of the info you need… right now.